When I turned sixteen, I couldn’t wait to take my driver’s test. My mom drove me to the DMV and waited while I sweated though parallel parking and the written test. When I came bounding out of the building, newly licensed and beaming, my mom handed me a small wrapped box as I slipped into the driver’s seat. My heart skipped a beat when I saw two car keys nestled in cotton. “You bought me a car as a sweet 16 gift? ?” I screamed and I couldn’t believe my good fortune. My excitement was short-lived, though: the keys belonged to the family station wagon. So much for that dream of walking out into the driveway and seeing your dream car with a big red bow on it, right? These days, Sweet Sixteen parties are no joke. Huge themed parties and over the top gifts have made shopping for that Sweet Sixteen girl in your life panic inducing. 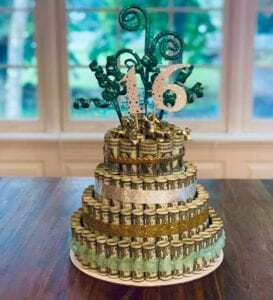 And, while Sweet 16 parties aren’t a big deal all over the country, everyone knows a teen who is turning sixteen or has a kid invited to a party for a newly minted 16 year old girl. So, we’ve put together a list of some pretty awesome gifts that every sixteen year old girl would love to receive. And, who am I kidding? I want most of the items on this list too, so if my husband is reading, my birthday is just around the corner. Sweet 16 gifts for girls should be something they will always remember. Turning sixteen is a magical time in a teen’s life and this charm bracelet will mark the occasion beautifully. And, since each bracelet is customizable with individual charms, no two bracelets will be the same! “Experience” gifts instead of a traditional birthday party. The latest trend in gift giving is giving your teen an amazing experience instead of a traditional party. Whether it’s taking your teen and some friends for snorkeling lessons or booking a limo to treat them to a Broadway show, sometimes, an experience can make lasting memories your family will never forget. Whether it’s an evening at a concert, a meet and greet with a favorite celebrity, or a weekend away in a cool town, experience sweet 16 gifts will make a lasting impression, for sure! Chances are, you probably know a sixteen year old girl who obsessed with Broadway. What better way to remind her that sixteen is a year full of promise than giving her a pillow with an awesome quote from her favorite show? She won’t throw away her shot when she reads the inspirational quote every morning. When all else fails, sometimes cash is the go to gift. And, sure, slipping a check into a card is great but this money confection really takes the cake! So cute! Admit it: you still remember when someone gave you your first blue box from Tiffany. 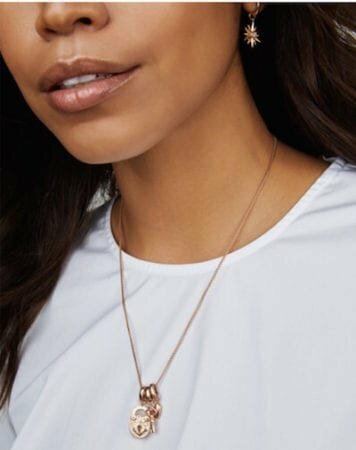 This mini double heart pendant is the perfect way to tell that special teen in your life that you are proud of her and her accomplishments. Count 16 days out from her birthday and give that number of presents (a large candy bar for day one, eye shadow and mascara for 2, face masks and lotion for day 5, six pack of pop for 6, 10 different types of gum for 10, a dozen donuts for 12 etc) and then 16 presents on her actual birthday. Our daughter had as much fun opening something each day even and it really made this birthday seem different and more of a milestone. How fun! In some parts of the country, Sweet Sixteen parties are as big as weddings or bar mitzvahs, complete with fancy engraved invitations. Help her savor the memories of her special birthday party with a frame that will hold her invitation or a picture of her in her gorgeous party dress. Sweet 16 only comes once and Alex and Ani bracelets are the perfect fit for any special girl in your life. If your teen is into makeup and nail polis, Kendra Scott nail lacquer is the perfect gift. And, total bonus: the more bottles you buy, the more you save so go ahead and buy yourself something pretty, too! If you’re thinking of makeup for a birthday gift, consider pairing it with one of these iconic quilted makeup bags. Vera Bradley bags come in many bright patterns and will certainly please a teen, especially if you tuck in nail polish in her favorite color and/or a gift card to Sephora. I bought my niece a wallet similar to this when she turned sixteen and she was over the moon. She told me it was the first time she was carrying a “grown up” purse and she felt like a million bucks when she took it out to the movies with her friends. And, when she found the extra cash I slipped into the pocket, well, let’s say I earned “Best Aunt Ever” status. Sweet sixteen really is sweet! And what better way to say “Life is Sweet” to your favorite Sweet Sixteen teen than with this creative candy bouquet? Of course, the obvious choices come to mind: Starbucks, Target and Sephora but what if you stepped outside the gift certificate box a little to really surprise her? Perhaps a gift certificate to a local escape room experience? Or a certificate to her favorite salon so she can get a manicure or put it towards highlights? Or, even better: a gift certificate to Ticketmaster or Broadway.com so she can attend a concert or a Broadway show. The options for gift certificates as sweet 16 gifts are endless. When I was 13, my mom gave me a charm bracelet and I loved collecting charms that told the story of my high school years. Kendra Scott’s charms are gorgeous and are a new spin on an age old tradition. Okay, maybe this gift is a little bit more for you than for that sweet sixteen in your life but, come on: who can resist Jake Ryan whispering, “Yeah, you” at the end of the movie? I know I can’t. “While raising daughters has perhaps never been simple, it is growing more complex by the day. In a parenting age that often tells young girls that they are somehow “less than,” one award-winning publisher decided to assemble a collection of voices to celebrate the girls in our lives. These are those stories.” -Amazon. Sounds like a perfect sweet 16 gift! Though I never did get that car for my sixteenth birthday, good things come to those who wait. My husband surprised me with my 80s dream car a few years ago, and I have to say, my 40 something self definitely feels sixteen again when I get behind the wheel of that little Cabriolet. Now I just need to drop some hints about those Kendra Scott charms to add to my charm bracelet from high school….